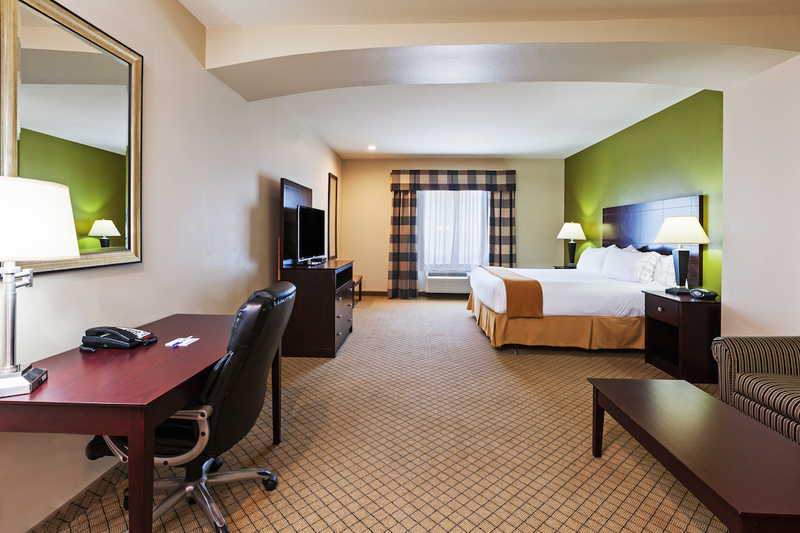 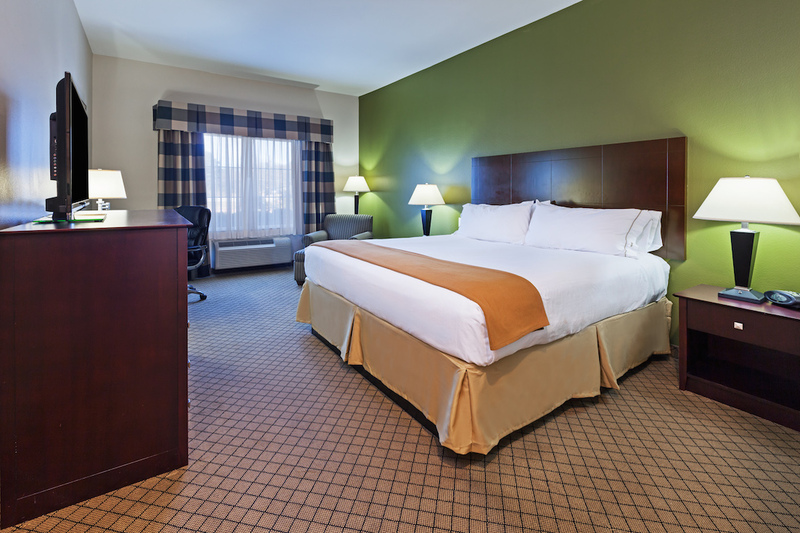 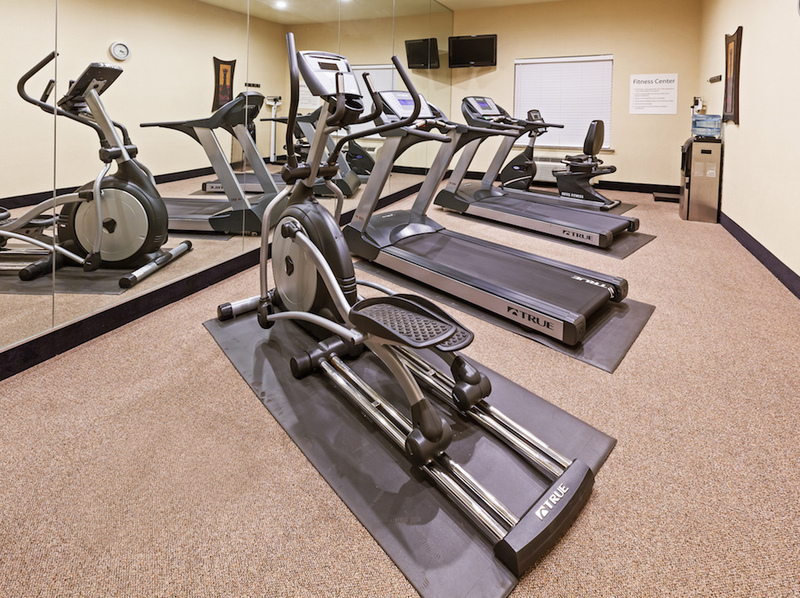 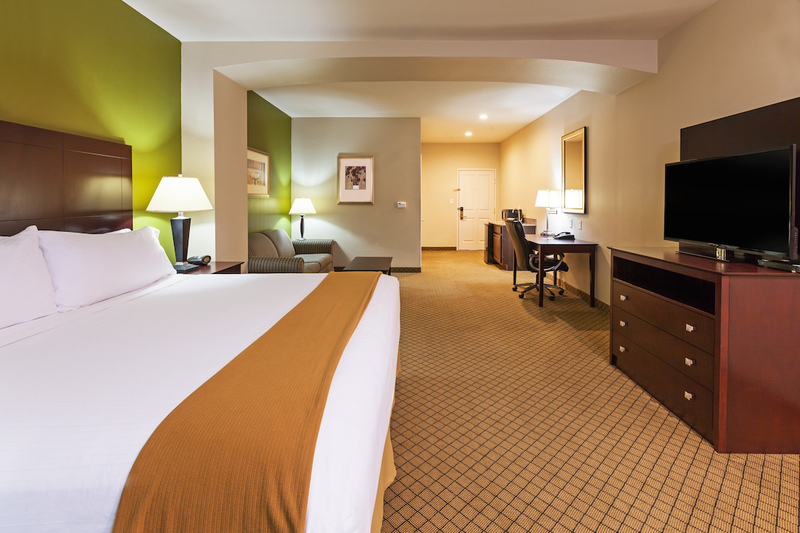 Our hotel in Kilgore, TX is the smart choice whether you are travelling for business or leisure. 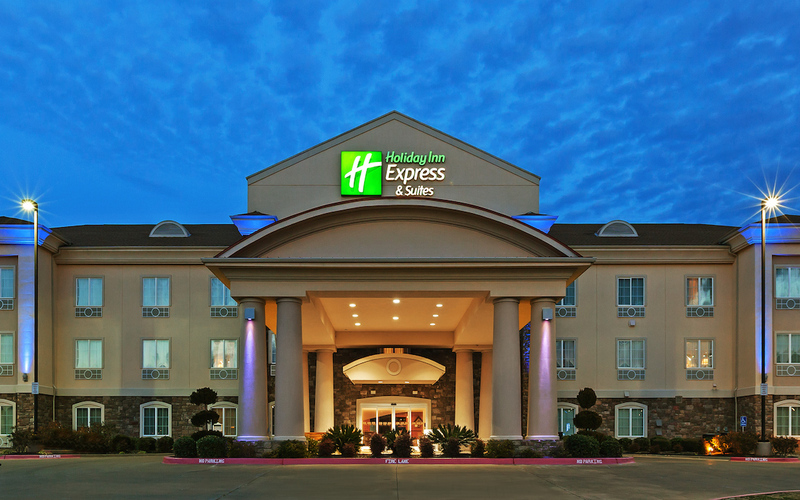 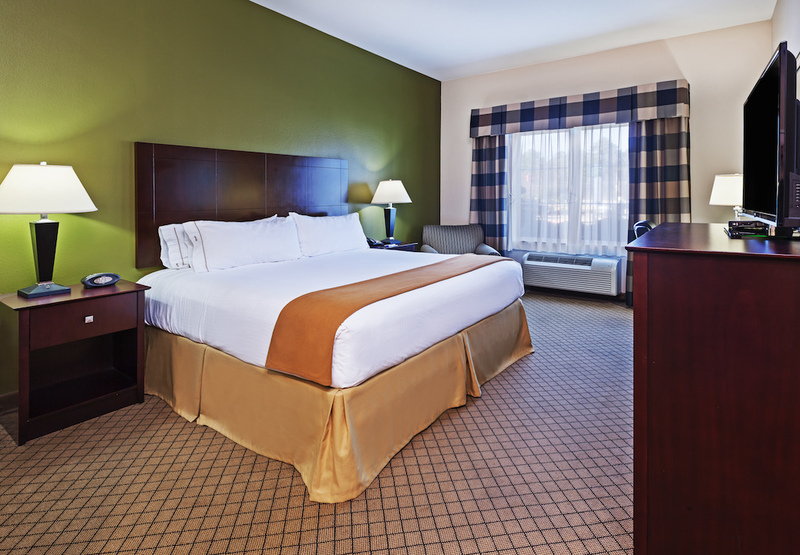 The Holiday Inn Express® & Suites- Kilgore, TX is centrally located near many major businesses. 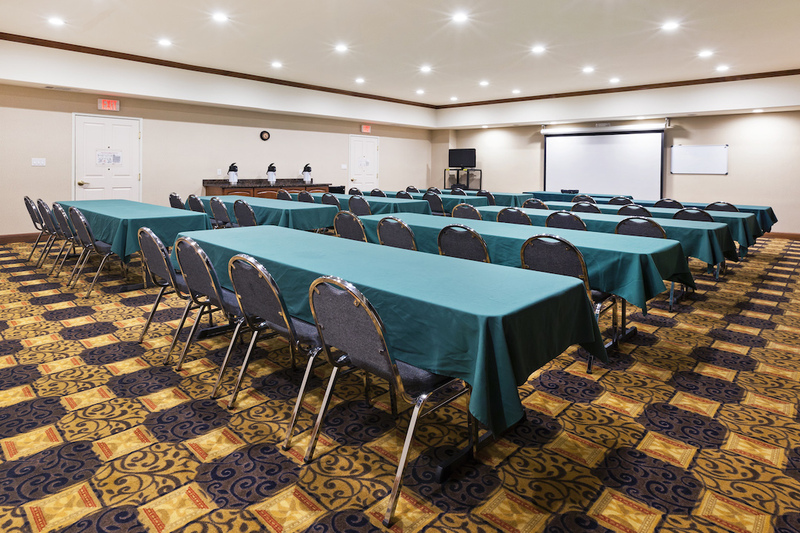 Thoughtfully designed for the most distinguished business traveler, our hotel boasts 1,650 sq ft of meeting space for all your corporate meetings. 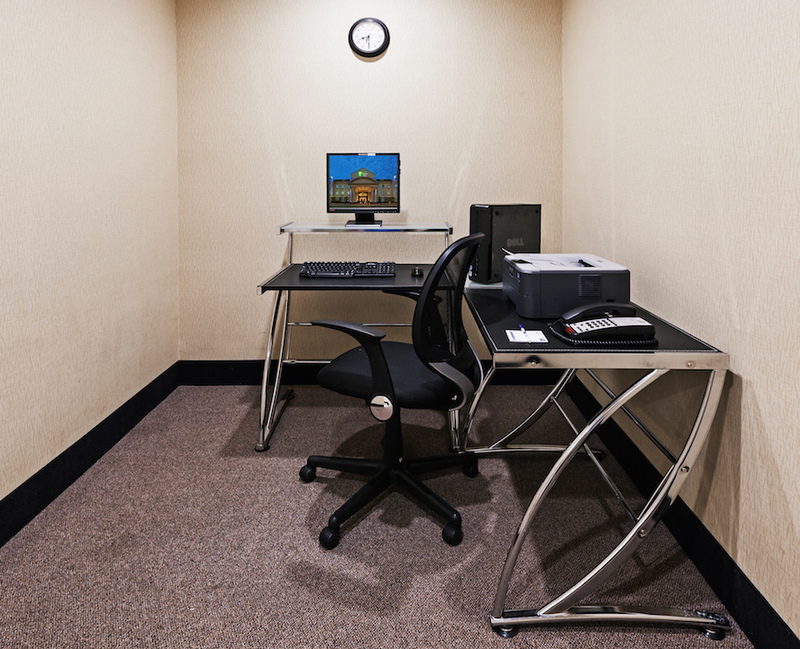 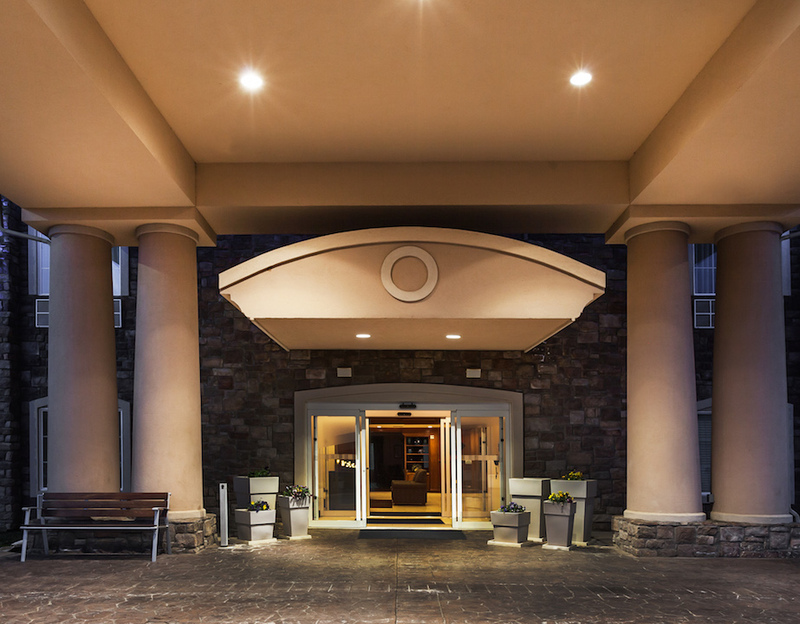 Guests can stay connected throughout the hotel as we offer complimentary high speed Internet and a 24-hour Business Center. 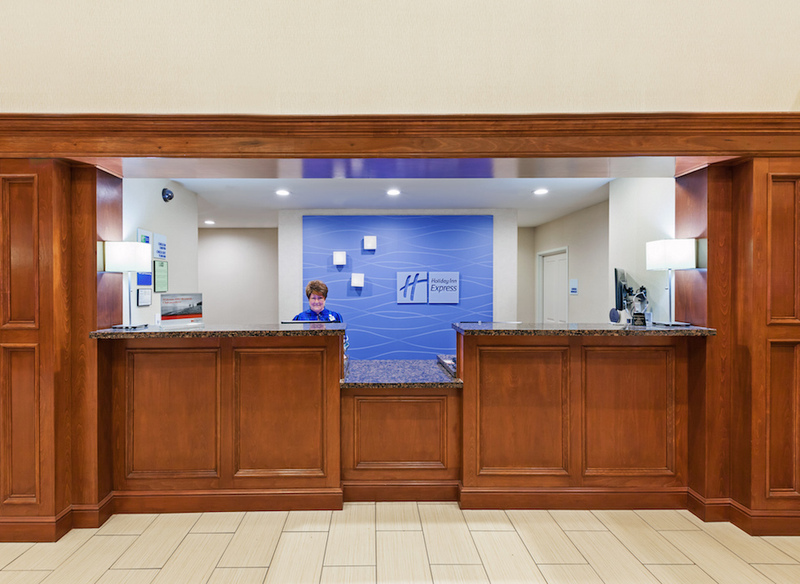 It's our goal to provide a stress-free visit for you and your guests so join us for a Managers Reception held every Mon-Wed from 5pm-7pm. 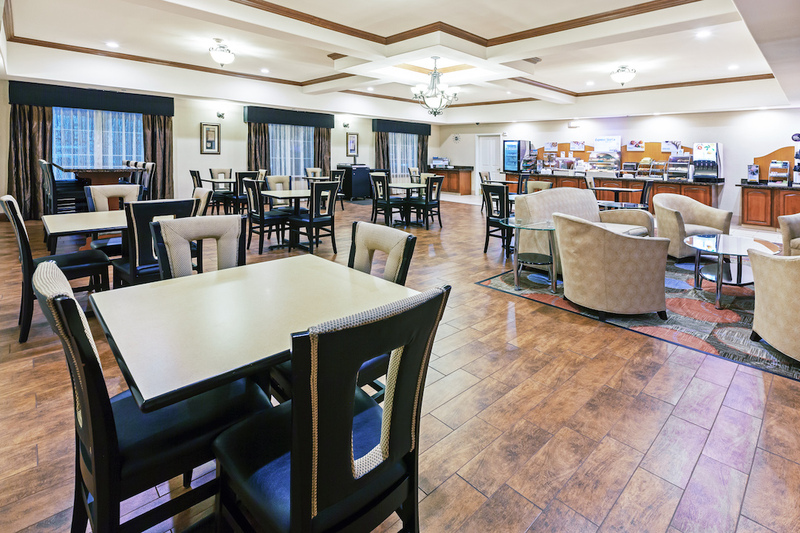 We are only a few miles from Kilgore College and a short drive to Driller Park and Lear Park sports complex. 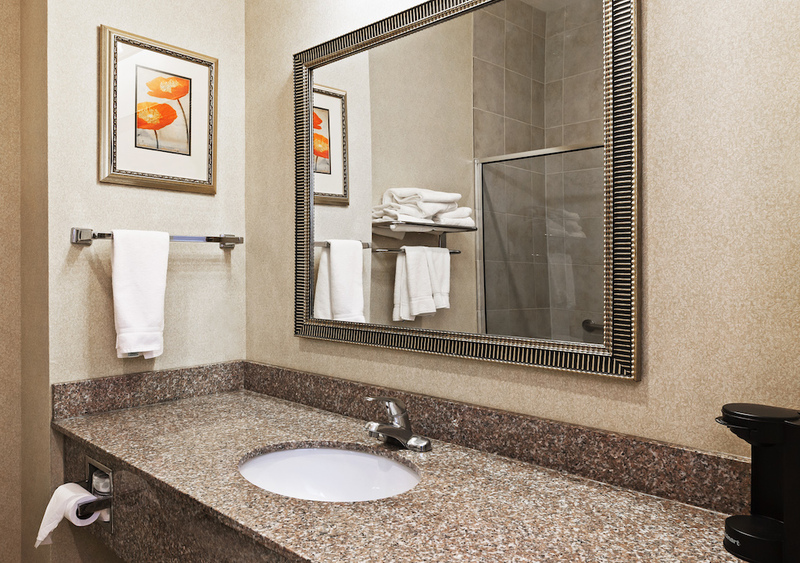 Sports teams and coaches can find a relaxing resting point before the big game. 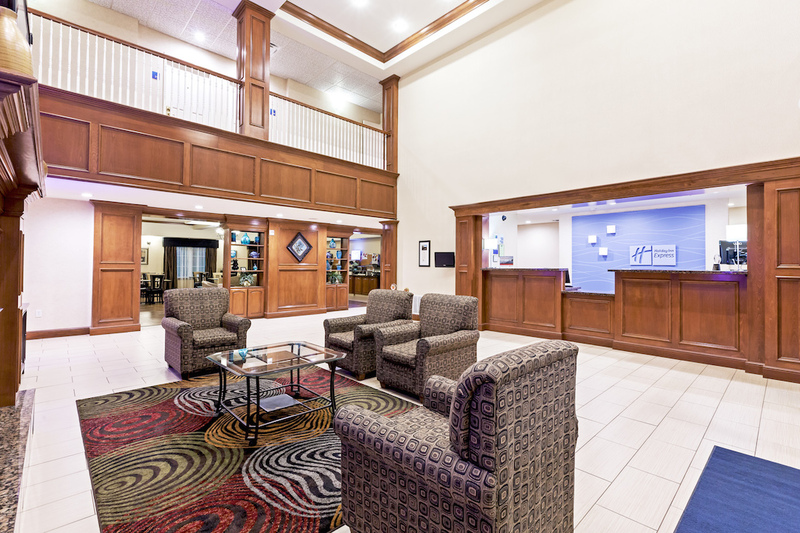 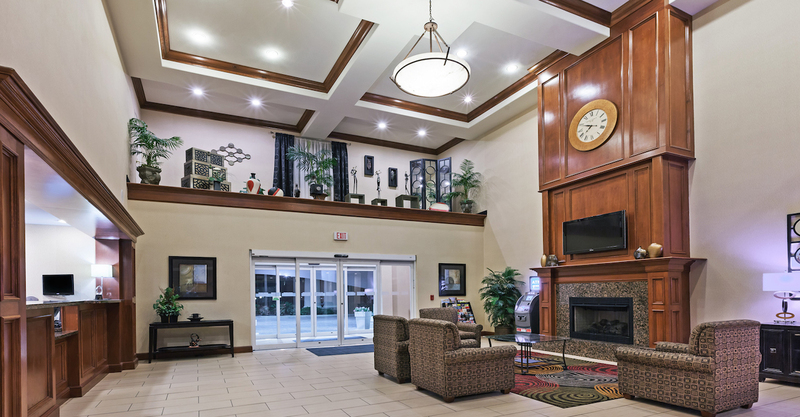 The welcoming atmosphere of our hotel in Kilgore, TX will surely meet all of your travel needs. 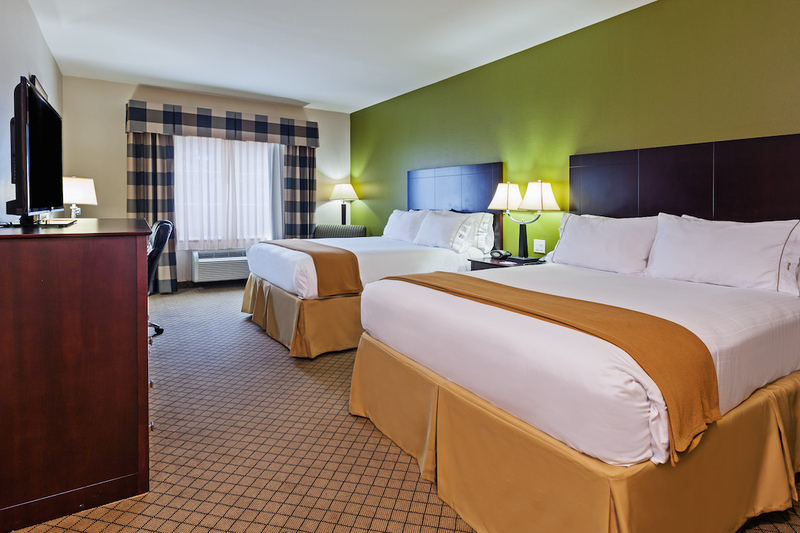 Families looking for hotels in Kilgore for family reunions need look no further than ours. 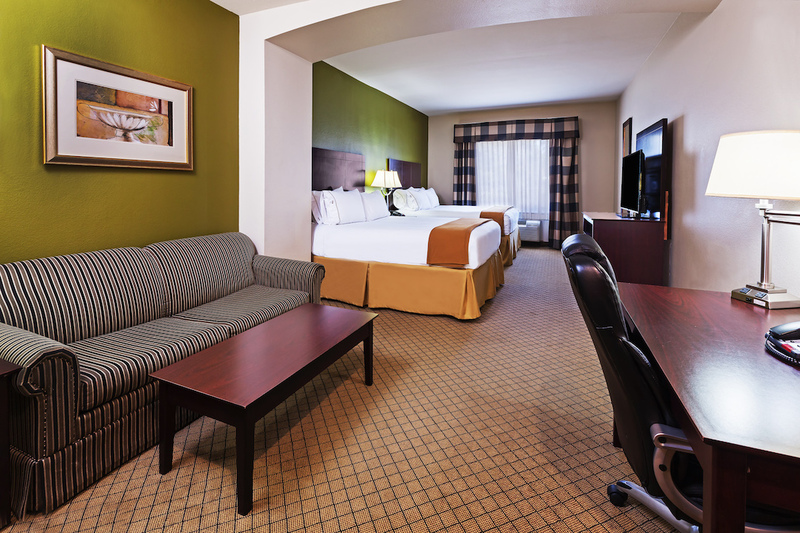 Our room and meeting room packages will make life simple and organized during your reunion. 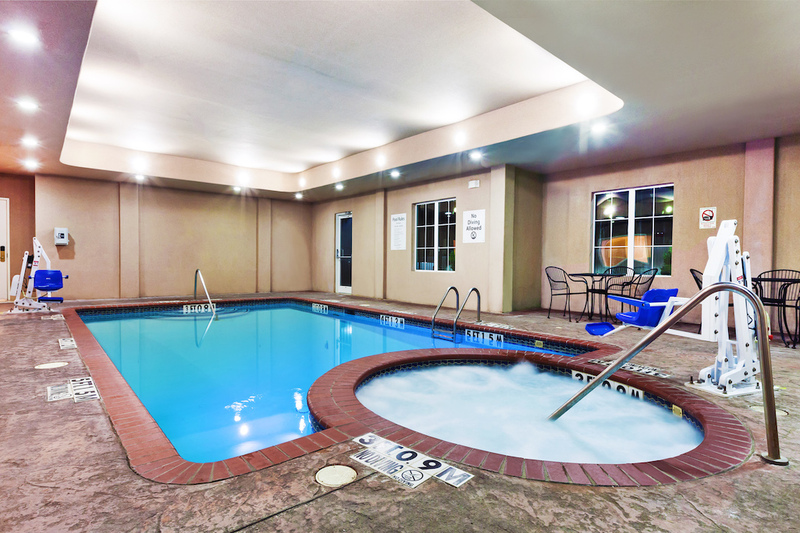 Children and adults alike can take advantage of our beautiful indoor pool and hot tub for a relaxing end to a day of travel. 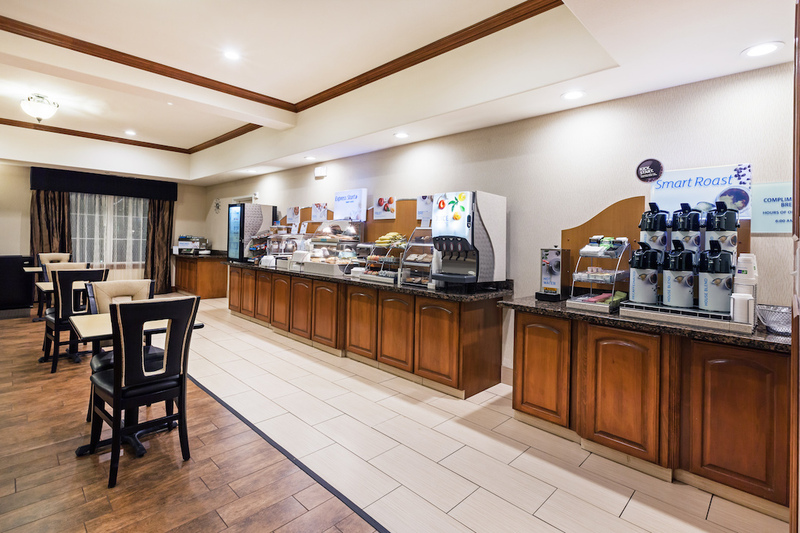 Come enjoy our delicious complimentary, hot breakfast bar every morning and get your day started off right. 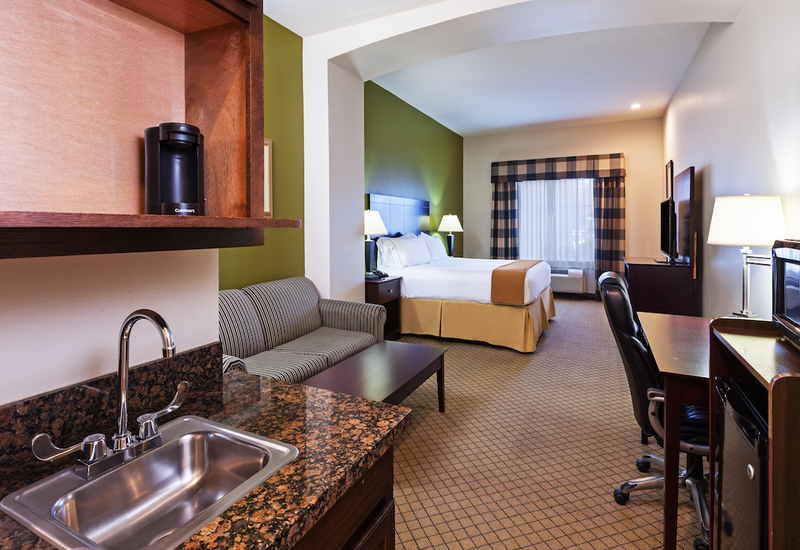 Make the smart choice and book your reservations with us today and don't forget to ask about our company negotiated rates! 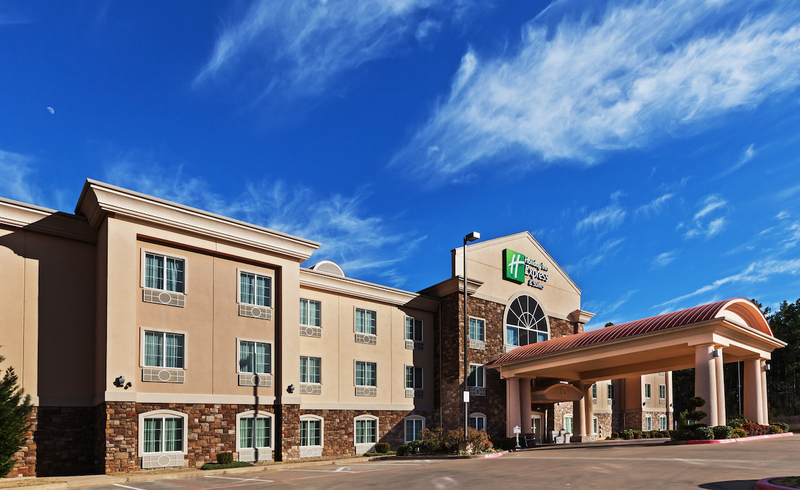 Corporate guests appreciate the location of our Kilgore, TX hotel, which is just minutes from businesses like, Halliburton, Baker Hughes, Weatherford, and Cudd. 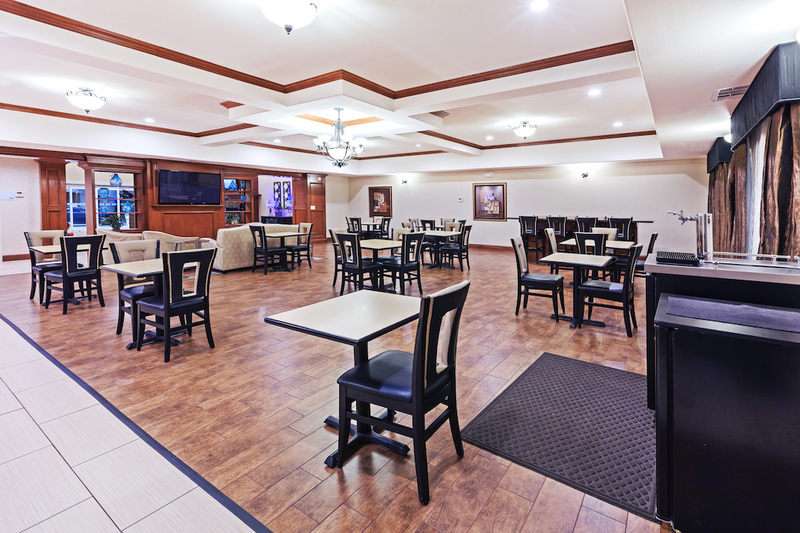 We hold a manager’s reception Monday-Wednesday (5pm-7pm) including beer, wine and hors d’oeuvres. 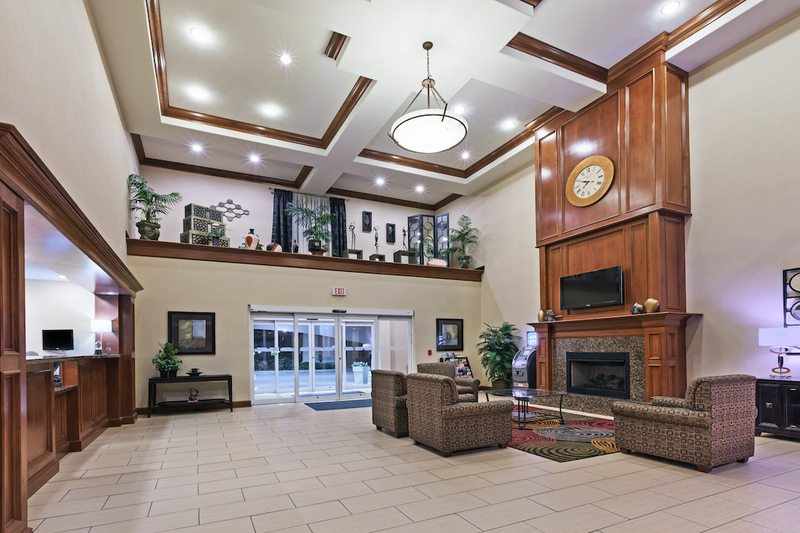 We are centrally located in East, TX, and are close to towns such as Tyler, Longview, Marshall, Henderson, and Shreveport.